To celebrate Poland's Aviation Day in 1952 a set of three stamps, two semi-postal and one standard post, were issued on 23 August. The high value of the semi-postal stamps of the set, the 45+15 GR, was designed by Slania. Interestingly, while compiling my Slania stamps of 1952, I noticed that with most of them he was responsible for the design only. The Aviation Day is one such example. The stamp was engraved by M.R. Polak. 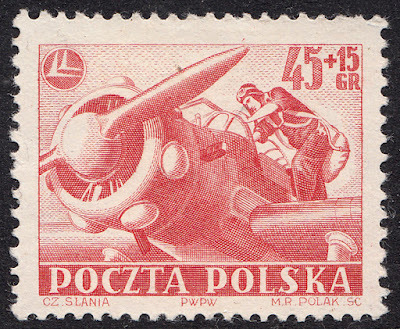 I have seen the name Polak on many a Poland stamp. I am assuming these were all done by the same Polak, but I could be wrong. And thanks to some info from a follower, Keram, I have discovered that Slania was in fact Polak's student. I love getting new info like this! This stamp is an absolute stunner. The more I look at it the more it is becoming a favourite. 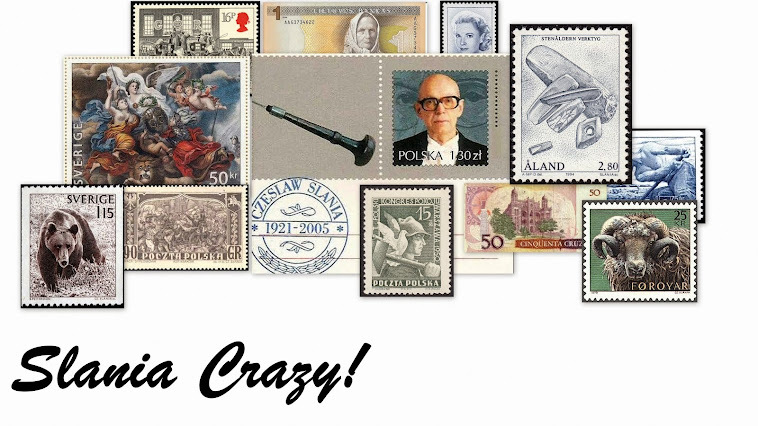 Speaking of looking at the stamp, I have done quite a lot of that while working on this blog. I have spent a fair bit of time trying to identify the type of plane depicted on the stamp. Here I must thank Keram for assisting me in the identification of the plane. It is a Zuch- 2. 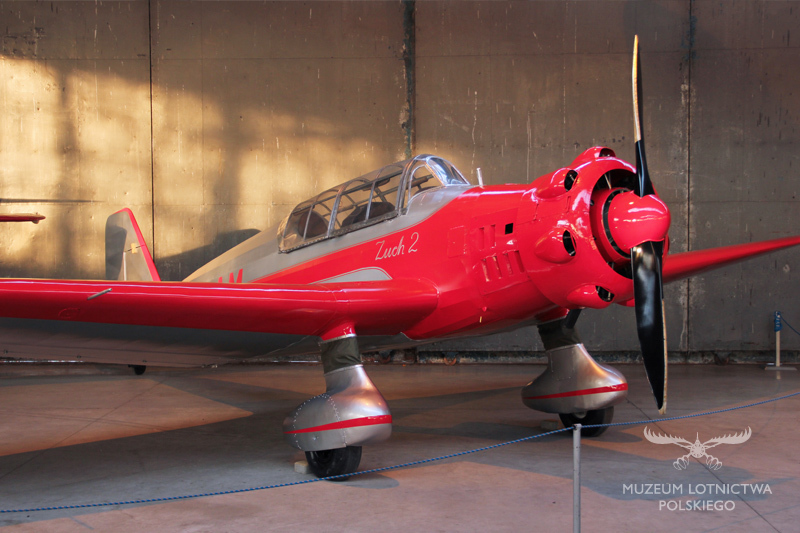 The Zuch was a Polish aerobatics and training aircraft built in 1948 by LWD (Lotnicze Warsztaty Doświadczaine). The Zuch-2 was LWD's second prototype. It had a radial engine with seven cylinders. There is a bump out in the cowling for each of the cylinders. It was first flown on 1 April 1949. This plane was also a trainer so it seated two - the trainee pilot and the instructor. LWD built 5 of this type of plane, all of which were in service to aero clubs. I am assuming then, that at least one of these planes appeared at Poland's Aviation Day in 1952. 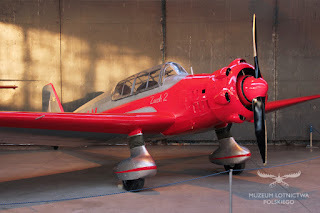 If you are interested in Polish aircraft, give THIS site a look. There are three stamps in this set. Two of them semi-postal. Highest value is 90 gr. When Slania has started work in PWPW he was a pupil of M. R. Polak. They worked on some stamps together. Shortly afterwards, as we know, the student surpassed the master. Thanks yet again, Keram! My learning is growing exponentially. I love it! I Muse...On One More to Get!